It's exciting to see how far accelerated depreciation has come over the last few years. We came from needing to start a proceeding in small claims court to simply now needing to tell your adjuster (ICBC) you are making a claim. We still have a ways to go, but there is movement which is great! In my opinion there are a number of contributing factors to why accelerated depreciation exists. Psychology, poor repairs, the risk involved with buying a previously damaged vehicle, lack of resources to help minimize the loss and stigma. Today I'm going to speak to the topic of a lack of resources to help minimize accelerated depreciation. Where would you go if you were trying to sell a vehicle that had been damaged and then repaired? There are very few resources online, if any, that help a consumer determine their vehicles value. Most people go to a dealership to figure out their vehicles worth. But there are a few issues with this. Offer a fair trade in price at wholesale. Dealerships do not buy vehicles for what they are worth in the retail market. They need to leave room for margin, recondition etc. Due to this you lose anywhere from $3000 + when trading a vehicle in. This has nothing to do with the damages. You are offered a low number because the dealership isn't comfortable taking your vehicle in on trade due to the damages. This is the most common situation. To counteract their concerns, they will offer a low number to protect themselves. A dealership sees an opportunity to make extra money on the trade in and purposely offers you a low number. Dealerships are businesses and if the opportunity arises to make extra money, no one would blame them. Recently we had a client who had a 2014 Ford Pick up truck that had sustained $44,000 in damages. After the repairs, the client wanted to trade his vehicle in towards a brand new truck. He found a dealership with the new truck he wanted and the dealerships offered him $33,000 for his 2014 Ford Pick up with a $44,000 declaration. The client hired us to find a wholesaler willing to guarantee the selling dealership a higher price for the trade in. If we could find a wholesaler willing to guarantee the dealership a higher price, the dealership still gets to sell a brand new truck, our client gets take advantage of the tax savings and the wholesaler gets a great deal on a damaged and then repaired vehicle. At the end of the day we were able to find a wholesaler willing to purchase the 2014 Ford Pick up truck for $40,000 at wholesale. $7000 + in found money. Why this is so important is consider that when you approach insurance for a loss, it needs to be reasonable. 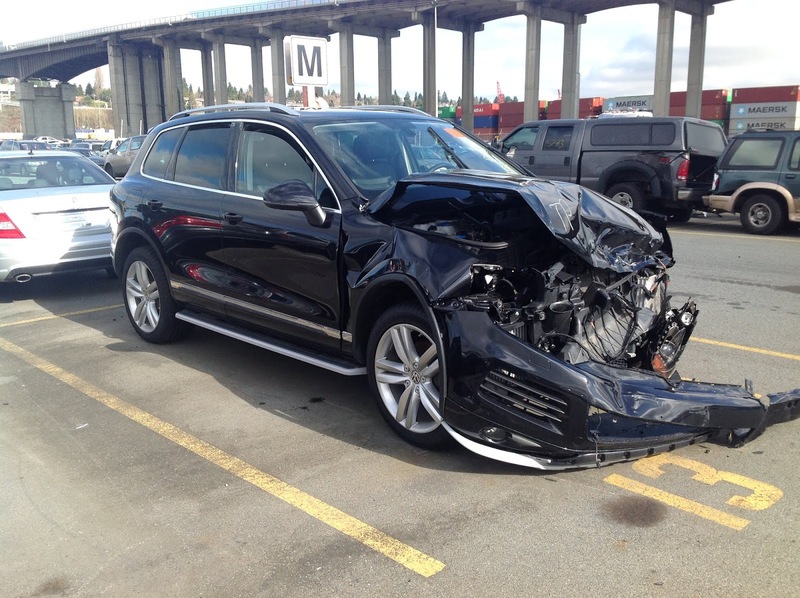 If this client had gone to ICBC with a claim for accelerated depreciation chances are he wouldn't have gotten all of his money back because they understand that when you trade a vehicle in you may loss more money than necessary. Alternatively, had he been paid out the full loss from ICBC, this is money that didn't need to be paid out and extra costs to all British Columbia drivers. It is my belief that this money comes out of our premiums, so it makes sense to try to minimize the loss as much as possible. When a vehicle has been repaired in British Columbia by ICBC, there is a document that is created by the body shop called a CL14 Repair Supplement. 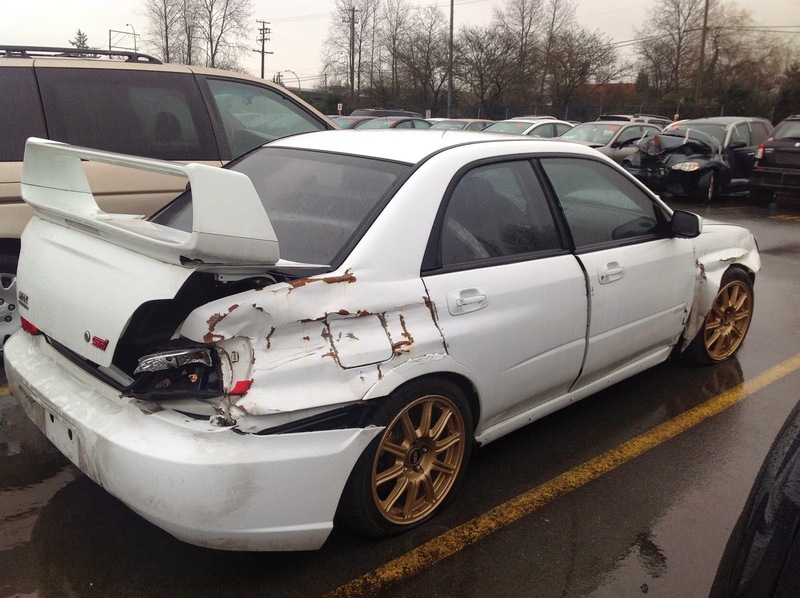 ICBC refers to this as a Detailed Damaged Report. 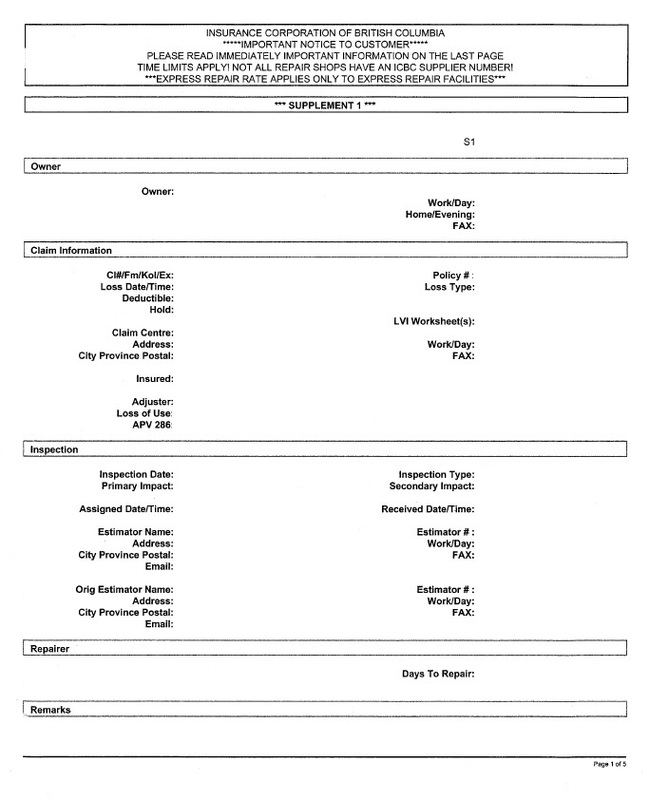 A template of the report is shown below. 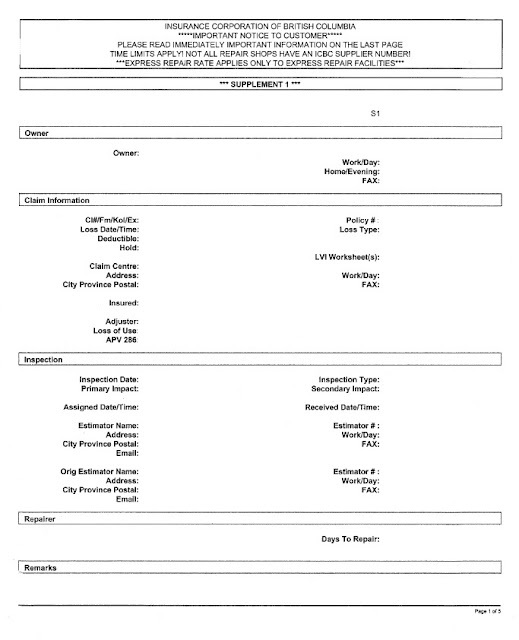 This document is used by body shops to invoice ICBC. It has all the information regarding the repair i.e. parts, labor costs, and the breakdown of structural, mechanical or body work. This is an important first document. You can purchase this document from ICBC for approx $19.00. This document is used by other insurance companies as well, but we'll focus on ICBC for today. Why this is important to have is it gives you an understanding of the damages. Most people only look at the number. Often a buyer will hear "it has a $6000 accident". To some people this might frighten them away because they don't understand what that number is. The detailed damage report or CL14, allows you to have some background to the repair. Parts, especially OEM (Original equipment manufacturer) parts can be very expensive especially headlights with LEDs (Light emitting Diodes). I've seen vehicles that have $2000 headlights or $11,000 brake rotors. You can contact ICBC directly at 604-661-2233 and ask for a Detailed Damage Report for a vehicle that has been in an accident. There is an automated attendant. Select 1 for vehicle claims history. The ICBC representative will verify that there is data worth purchasing and once they have data they will ask for the payment. This process is manual and it can take up to 24 hours. They will need to fax it to, they are not setup to email as of yet. In the next article we will go through the repair supplement. Buying and selling vehicles that have not previous been damaged can be challenging enough. Add in an accident history and all bets are off. 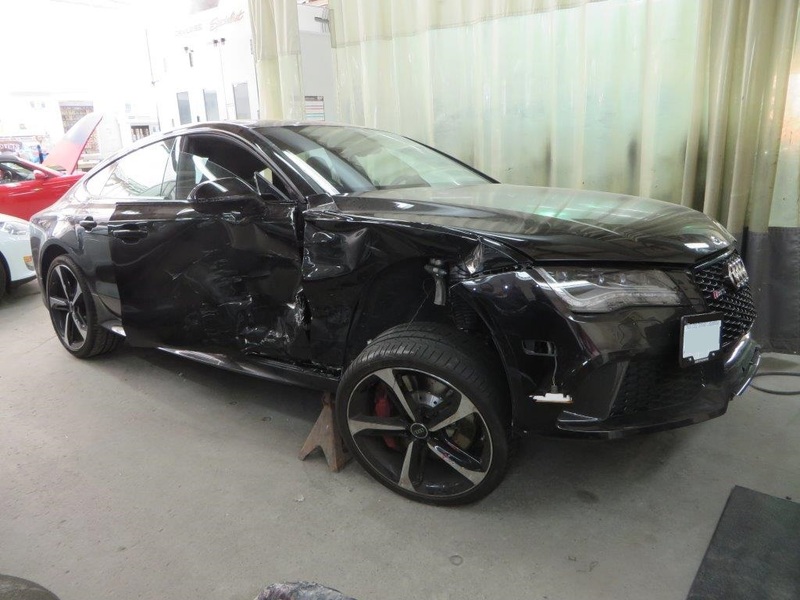 It has been my experience that because there is very little trust when people are buying used vehicles as soon a person hears there has been a previous accident, most people shut down like a robot being powered down. It is already complicated enough, let alone trying to figure out what happened. This blog will focus on helping buyers and sellers in British Columbia learn about damages and how to sell a vehicle that has been damaged.